Many couples are now choosing to live together rather than get married. There are around 4 million couples in England and Wales who have chosen to co-habit. 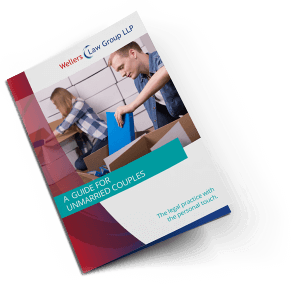 It is important to note that unmarried couples who cohabit and who do not formalise their relationship through either marriage or civil partnership will have significantly fewer rights and less protection in law. Many cohabiting couples do not realise that under English Law there is no such thing as a “common law” husband or wife – living together for a period of time, even if it is for many years, does not mean co-habitees acquire the same rights and responsibilities as a married couple, nor do they have access to the remedies available to married couples on the breakdown of their relationship. While this may of course suit many couples, in certain circumstances it can leave partners vulnerable should the relationship break down. If you live with or are about to start living with a partner then you may wish to draw up a cohabitation agreement to clarify the ownership of shared property and other assets to ensure that your partner and any children will be provided for, should anything unexpected happen. What happens when cohabitees break up? When unmarried couples separate, significant issues can arise over the ownership of property and the financial provision for any children. Issues regarding arrangements for children, such as where they are to live and spend their time following the breakdown of their parents’ relationship, are also common. At present, however, there is no law in place tailored to the needs of a cohabiting couple and any children they may have together if their relationship breaks down. In the event of a property dispute, trust and land law is applied. This does not provide for unmarried partners in the same way that the law is applied in a divorce financial settlement. However, you could agree a legal separation agreement to set out financial arrangements and arrangements for children as you separate. Unlike a court order, a legal separation agreement (also known as a Deed of Separation) is not legally binding or enforceable by the courts. However, if the agreement has been made between partners who have both received independent legal advice and there has been full and frank financial disclosure, then the agreement may guide the courts in any future litigation arising from a dispute. Should you be considering separating from your partner, any of our solicitors within our Family Law department at Wellers Law Group will be able to offer you practical advice on what your legal position is and how best to move forward. We understand what a difficult time this will be for you and assure you that we will handle your matter with discretion, integrity and professionalism. Please contact our Family Law solicitors for help or advice on cohabitation agreements and legal separation agreements for cohabitees and all legal matters relating to living together and splitting up. Call 020 8290 7992 for our Bromley team, 01732 446374 for Sevenoaks, 020 7481 6393 for central London or 01483 284567 for our Surrey team. Alternatively email your enquiry to familylaw@wellerslawgroup.com. We offer a fixed fee, no obligation one hour interview so that we may provide you with initial advice and suggest the options for your next course of action.